Batter up! Calling all baseball and softball families! 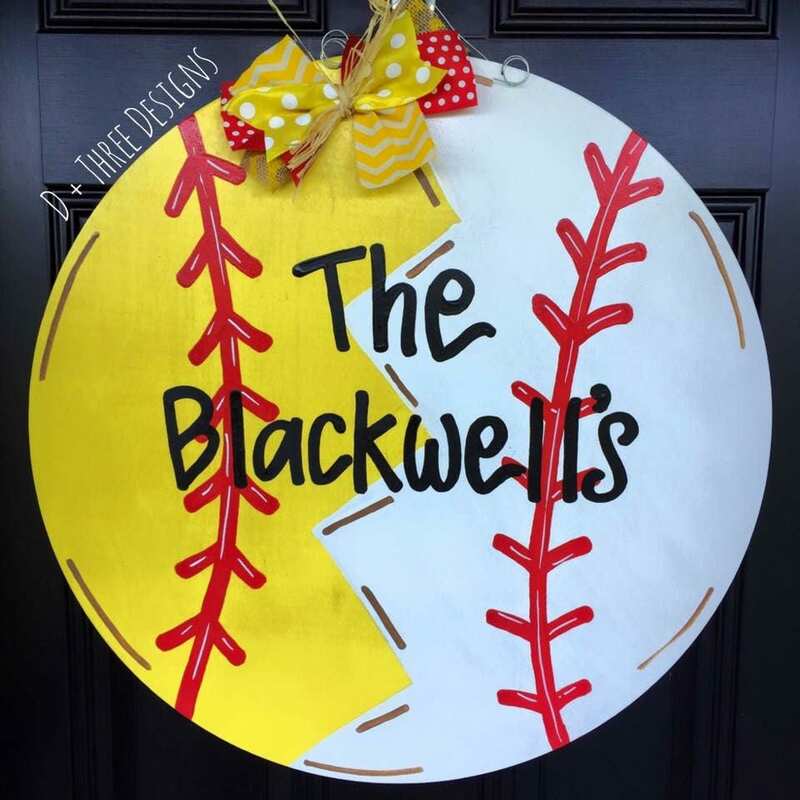 This is our blended softball & baseball family door hanger! This is sealed for indoor/outdoor use and comes with a metal hanger and jumbo coordinating bow which is perfect for hanging on any door or wall. This wooden hanger is made of 1/2 thick birch wood. Put the names or words you want on it in the notes to seller box upon check out! Due to all monograms being custom made and they are NON-RETURNABLE. Upon purchasing this item, you are agreeing to all terms and policies as stated on our policies page. Note: Some variations may occur due to this item being hand painted. Be sure to put the letter you want in the notes to seller box upon check out! Custom Order and it is perfect!! Two kids and too many sports! Quality is excellent - both wood and artwork! Communication throughout the process was fantastic! Love, love, love our new door hanger!!! !